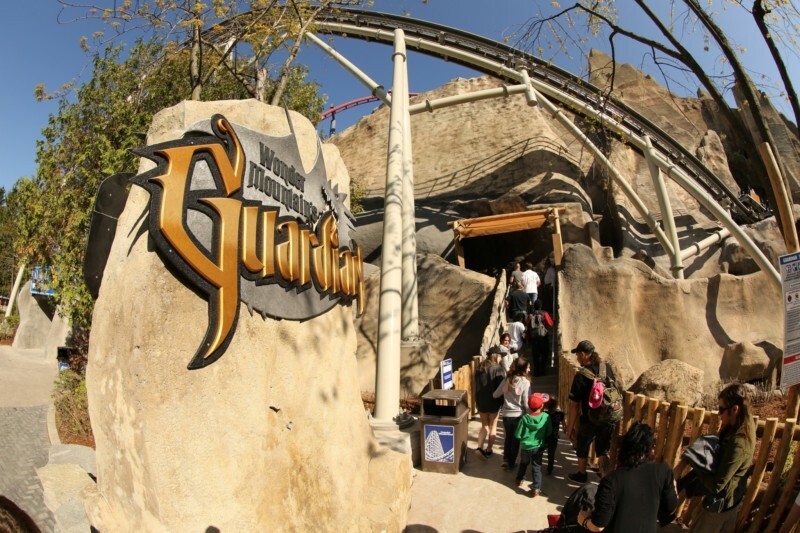 Montreal, QC, Canada (May 27th, 2014) — After several months of hard work, Montreal based TRIOTECH, a market leader in multi-sensory attractions is proud to announce the inauguration of Wonder Mountain’s Guardian at Canada’s Wonderland. This attraction allows guests to experience a 3D adventure enhanced with 4D effects and interactivity in a combination interactive dark ride and coaster. “We are extremely proud to have designed and produced an interactive attraction that blends physical, virtual, and multi-sensorial elements for Canada’s Wonderland. This unique attraction is the result of the hard work of several dozen dedicated specialists at TRIOTECH, Canada’s Wonderland, and several other specialized firms. Guests of the theme park will experience new thrills and actively participate in the ride. Feedback has been exceptional over the opening week end with riders giving the attraction strong positive reviews”, stated Ernest Yale, President and CEO of TRIOTECH. In Wonder Mountain’s Guardian guests ride through specially adapted vehicles and begin their journey outside the park’s iconic mountain. They are then transported under the mountain where they interact with mythical creatures while navigating through diverse environments such as a forest, underground lake, and city. The quest culminates when guests reach the dragon’s lair at the mountain’s core. For this unique attraction, TRIOTECH developed and installed the longest interactive wall ever integrated into a theme park attraction. The wall is 500 feet (152 meters) in length and 13 feet (4 meters) in height.